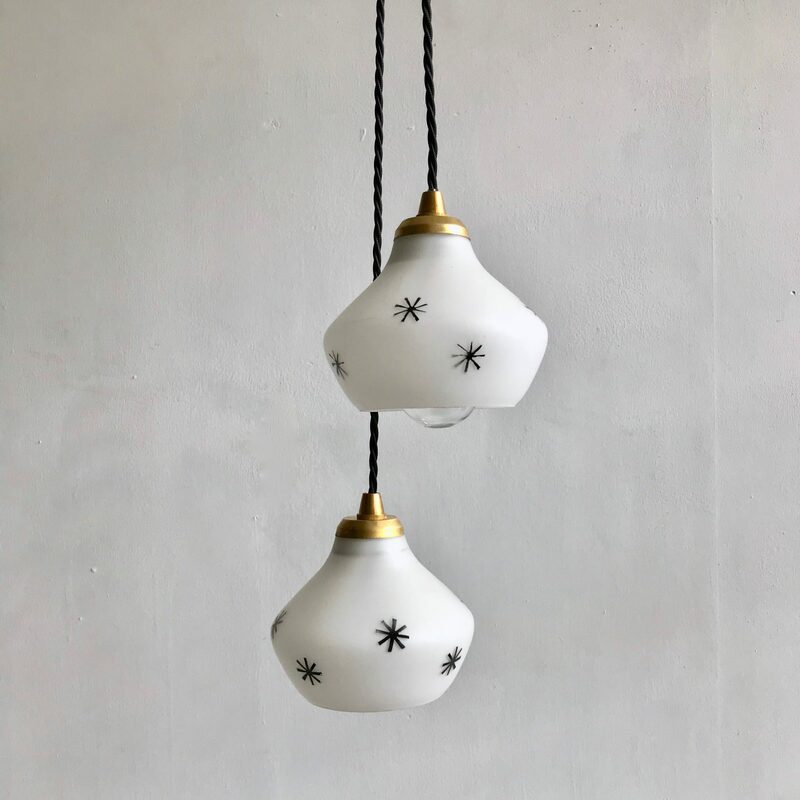 We have four of these small white opaque shades with hand painted black stars. Each finished with a raw brass fitting and black twisted flex. Due to their small proportions they could hung together in a cluster.